Plan an amazing team building event in or near Irvine, CA in Orange County with our help! Irvine itself has great hotels and outdoor areas like Mason Regional Park that are perfect for a team building event. Whether you’re at the Crowne Plaza, Radisson, Marriott, Hyatt Regency or Fashion Island Hotel in Newport Beach we can help you plan a phenomenal event! We work closely with your staff, event planner, or hotel contact to insure your event is flawless. We’re only 20 minutes away from any Irvine site which makes site visits or pre-planning meetings easy. One of the best features of Irvine is it’s proximity to beach cities like Newport Beach, Laguna Beach, Dana Point, and Huntington Beach. It’s easy to arrange for a day in the sun on the sand! 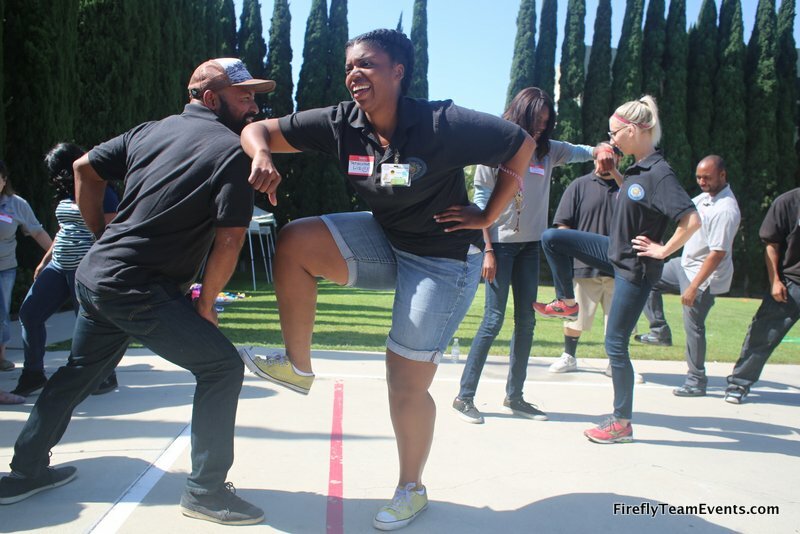 Call us at 877.267.1939 to plan your next Orange County team building event or email events@fireflyteamevents.com. View our full events list to see what kind of fun you can have in Irvine. Iron Team Challenge – Watch your team laugh and work together in this version of a team Olympics. We’ll get them trusting, planning, and thinking outside the box as they go for the win. We can host this event at Irvine Regional Park, Mason Regional Park, or one of the many local community parks. 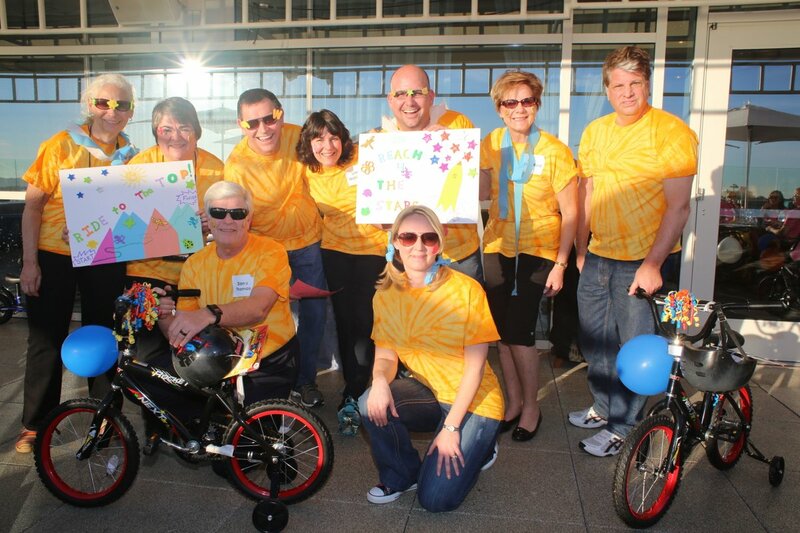 Charity Bike Build – Bring your team together with an event that benefits an at risk population. By the end of this event you’ll have assembled bikes for local children in need and discovered new insights into the abilities of your team. Design Challenge: Rockets – Will your team perform under pressure? They’ll have limited time and resources to design, build, and launch water/air powered rockets. You’ll compete on distance, accuracy and style in an attempt to win the top spot. In our version of a team olympics we’ve turned up the FUN! We’ll rotate your teams through a series of team building challenges. Each station earns them points toward their placement in our final challenge – The Gauntlet!!! In the Gauntlet your entire team will compete in an insane relay that will test your communication, leadership, and determination. Does your team have what it takes? Great for any outdoor or large indoor setting. We’ve combined the Amazing Race, Survivor, and a traditional Scavenger Hunt to create this incredible experience. You’ll be solving puzzles, finding clues, and completing physical challenges as your race to outscore your opponents! Newport beach is one of our favorite locations for this but we can create one anywhere. Your heart will race. Your adrenaline will spike. You’ll have the biggest grin on your face as you tackle this high tech tactical weapons simulator. 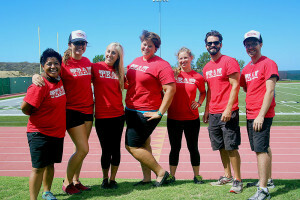 We are the ONLY ones that offer this unique team building experience in the United States. We’re putting your team through the same high-tech training simulators that were previously only available to law enforcement and military. You’ll rescue hostages, combat criminals and if your teams succeeds… you’ll save the day! You will leave this challenge with a better sense of of who you and your teammates are under pressure. Located less than 20 minutes from Irvine. The Marriott within minutes of Mason Regional Park, John Wayne Airport, Newport Beach, and several other key Orange County landmarks. Planning a team building out of the Marriott gives you plenty of options. The Radisson is right next to the Orange County Airport. Catching your flight after a crazy fun day of team building is quick and easy! Or you can relax at their signature restaurant Tiffany’s for a glass of wine to celebrate. A beautiful tree field setting for your next team building. We can set you up next to the picturesque lake or under one of the many pavilions. There’s plenty of parking and it’s easy for motor coaches to drop off your group. This is the perfect spot for a team olympics or Adaptation challenge. Mason Regional park is one of our favorite outdoor team building destinations in Irvine. Hotel Irvine is perfectly situated near the freeway and the airport. They have ample space for almost any team building event. The lawn works well with some of our team game events like the Iron Team Challenge. The conference rooms and large outdoor pavilion tent can hold our bike builds, charity team events, and more.